While every bride and groom has a million decisions to make about their wedding, there is no doubt that affordable wedding flowers are one of the most important choices you will make. From your wedding table flowers to the bouquet, this important decoration helps set the tone of your event while adding a touch of tradition and romance. Because of this, it’s no surprise that the American florist industry grew by an estimated 0.6% annually from 2009 to 2014. Unfortunately, many couples head to their first meeting with their wedding florist with a set idea in their minds, only to find out that all of their flower arrangement ideas feature blooms that aren’t in season. While it will still usually be possible to get the type of blossoms you want, they will be considerably more expensive than flowers that naturally bloom at that time of year. Stick to your budget by avoiding this common problem: read on to learn which flowers will be in season for your wedding! Unsurprisingly, spring is a great time for flowers. Seasonal favorites include traditional blooms like peonies, anemones, irises, lilies of the valley, and bluebells. However, for more modern spring wedding bouquets, wedding florists recommend adding cuttings from flowering apple, cherry or dogwood trees. Summer is also a great time for floral growth, giving couples plenty to choose from. However, many wedding florists are now recommending less fussy options to capture the warmth and vibrancy of the season. Try dahlias, Queen Anne’s lace, delphiniums, zinnias, daisies and sunflowers. Some wedding florists even recommending adding unique touches, like lemons and limes, to centerpieces for a fun and beautiful look. With the cooler weather, the selection of wedding flowers is somewhat limited. However, autumnal brides will still have plenty of blossoms to choose from: try chrysanthemums, sweet pea, camellias, cosmos, and delphinium. Add an interesting touch to bouquets and table arrangements with fig or berry branches, hens and chicks, or cotton bolls. While many might think that the pickings in winter are slim, there are a surprising number of beautiful choices during this season. 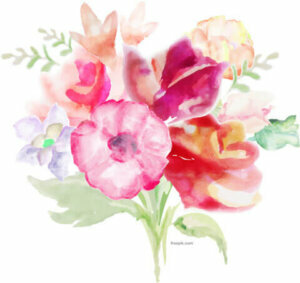 Wedding florists recommend ranunculus, daffodils, Dutch and French tulips, hyacinth, and stargazer lilies. Some of these choices are especially appropriate: red tulips, for example, were formerly used to declare romantic love in Russia. And lilies are obviously a very traditional choice: one of the best-known examples of this flower, the white and yellow Madonna lily, is 3000 years old. For your centerpieces, make things festive with evergreen, pomegranates, and berry branches. If you aren’t crazy about the seasonal flowers available for your wedding, there are also a number of flowers available year-round, which look beautiful as both fillers or the star of the show. These include roses, orchids, delphinium, freesia, gardenia, lisianthus, and stephanotis, to name just a few. Talk to your wedding florist about other options and ideas for wedding flowers that will fit you, your spouse and your event!